Atthasit first came to prominence as a snooker professional at the start of the decade as he began an unbroken four year spell on the main tour in 2001. Though he made the last 48 of the LG Cup in 2002 however, winning four matches in the process before falling 5-1 to David Gray, he only managed to rise as high as 86 in the rankings and slipped off the tour in 2005 as a result. He did got give up though and returning to the amateur circuit, made the semi-finals of the IBSF World Championship in 2006 before losing out 8-4 to eventual winner Kurt Maflin. Success was to come in 2007 though as he managed to go all the way, not only winning the title with an 11-7 win over countryman Pasakorn Suwannawat, but doing so in front of his home crowd in Thailand. This was not only a great victory in itself, but it also guaranteed a return to the big time for the 2008/9 season, an opportunity that he he was able to take with both hands, consistently winning matches and boosting his provisional ranking to 66th going into the UK Championship. Particular highlights included last 64 runs in Shanghai and the Grand Prix, before he reached the last 48 in the Bahrain Championship only to lose a close match 5-4 to Steve Davis. 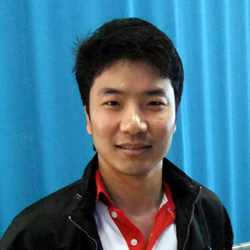 Though he lost out early in both the UK and World Championship, his consistent results in the smaller events just about saw him retain his main tour place as he took the eighth and final place available to players performing well on the one-year list who had not made it inside the top 64 on the two-year list. 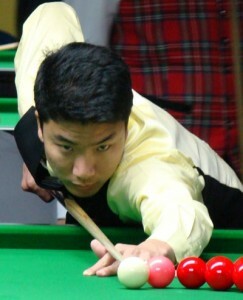 Atthasit’s best run during the following season was to come at the UK Championship where he defeated Chinese pair Mei Xiwen and Liu Song to advance to the third round where he lost out to Adrian Gunnell. Aside from this tournament however he was to struggle, winning just one further match as he was relegated from the tour for a second time.